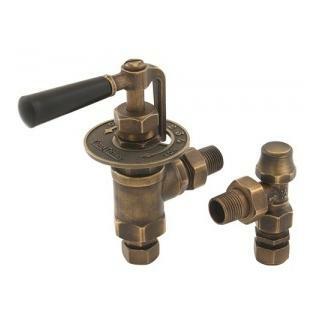 A new addition to our range of traditional radiator valves. 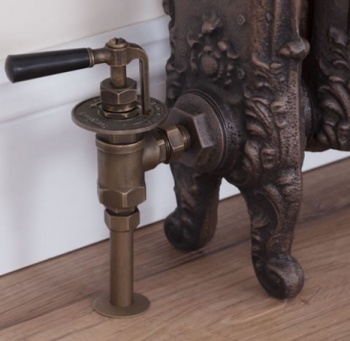 The Temperatura Manual Radiator Valve is a replica of the Italian original and has been updated for modern heating systems by Carron Castings. 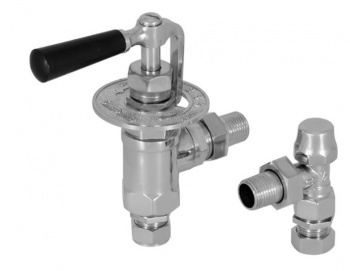 This item is supplied as a set ready for installation; namely, manual control valve and lockshield (as shown). Currently, this item is available in Antiqued Brass finish (as shown). Compression fitting for 1/2" (15mm) pipework and bushings. Many thanks Jamie for your comments on the Temperatura Radiator Valve. They are certainly more glamourous than the standard white plastic radiator valves. I remember seeing the original valve that was sourced in Italy and thought they looked fantastic.